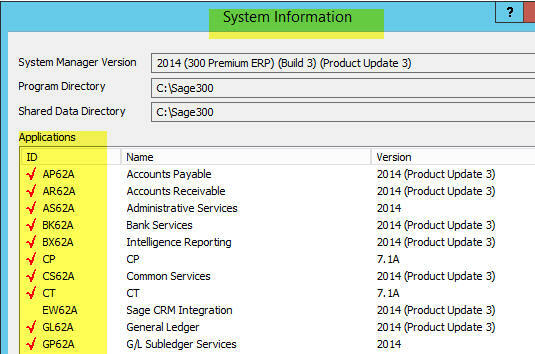 All Modules in Sage have their own unique code. This can be seen on the System Information Screen. On this screen you are able to see what modules have been installed. > All other Modules are available for purchase.